If you’re hunting down non-ethanol gas stations, consider this first: ethanol fuel burns cleaner and more efficiently and helps increase octane. While the water-attracting alcohol in these blended fuels can lead to potential problems, they’re easy to prevent. All it takes is some basic knowledge about what’s going into your fuel tank. Ethanol is the same alcohol used in alcoholic beverages, but with water removed so it’s suitable for blending with gasoline. It helps increase octane and burn fuel more efficiently. Why is ethanol added to fuel? Refiners have added ethanol to fuel for years because it burns cleaner than pure gas. Now, federal regulations are requiring them to use increasing amounts of ethanol to help reduce America’s dependence on foreign oil. Most U.S. gasoline now contains a blend of up to 10% ethanol (E10 fuel), but newer automobiles are being advertised as capable of using up to 15% ethanol (E15 fuel). What problems can be caused by ethanol in gasoline? Although these blended fuels burn cleaner than pure gasoline, the ethanol absorbs moisture from the air. Over time, that water can separate and drop, along with ethanol, to the bottom of your fuel tank. This is when problems like corrosion, stalling and engine damage start. Ethanol isn’t a problem for cars and trucks that are used daily, especially if you use an ethanol additive, treatment or a fuel stabilizer at every fill up to remove water and keep gas fresh. It’s another story when it comes to ethanol treatment for the fuel systems in boats, snowmobiles, ATVs, motorcycles and small engine outdoor power equipment that sits idle for long periods of time. No, you don’t need to hunt down ethanol-free gas in your area. Just two steps are all that’s needed to prevent costly engine repairs. Step 1: Keep the tank as full as possible. Moisture condenses in the empty space in the tank, so reducing the amount of air decreases the amount of water that can enter. While many manufacturers recommend draining all gasoline, it’s nearly impossible to completely empty a built-in tank. Instead, top off the tank to 95% full (to allow for expansion and minimize explosive vapors) and use a gas treatment or fuel stabilizer. Step 2: Use an ethanol treatment or fuel additive. These products are designed to help offset the effects of moisture in today’s ethanol blended fuels. For boats and jet skis, it’s important to use a product that’s specially formulated for marine conditions. Still considering using 100% gas? Head on over to the STA-BIL Brand Facebook page and let us know what other ethanol concerns you have. Hi, My snowblower won’t start, cleaned the lines, regapped the plug but my friend said that if the gas these days sits in the tank for more than a couple of months without use it turns into sludge. What is the best additive to reduce this issue and when I pulled the carb, looked fine but someone suggested using and Ether spray into the carb shutter, small blast, if it doesn’t kick over try again because most of these issues stem from the carb…Any advice? Hello, since we are not able to assess the snowblower in person, we recommend taking it to your nearest professional mechanic to be looked at. 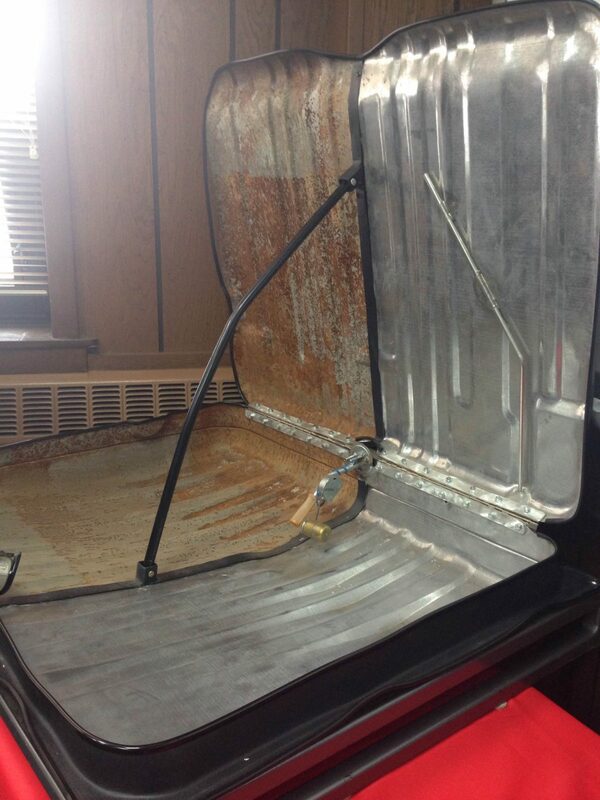 I had the same problem and used a carb cleaner to remove the goop after draining the gas bowl under the carborator. There was much sticky discolored gas draining. It works well now but slow choppy idle action and shuts down if I don’t push the prestart has pushy thing. That helps to keep it running if I do it frequently while snow blowing. My bro recommends using higher octagon gas preferably without ethanol. Hard to find gas without the e. So now I am seeking an additive to put in the tanks as I use regular unleaded with ethanol. What is the best gas treatment to use, to pervert the most moisture in your engine? Hi Jeremiah. The best way to prevent excessive moisture in a fuel system is to keep the fuel tank as full as possible. We recommend treating with STA-BIL 360® Performance to prevent issues do to condensation such as corrosion, rust and water separation (phase separation) – this is especially useful when keeping the fuel tank full is not always possible. Sorry but I’ll stick with 100% gas. I let a friend borrow my old snowmobile last winter and likely put e-10 in it. I had to rebuild both carburetors. Also the fuel gauge float rotted off. Hello. So, my local mechanic said to keep my new portable generator 95% full of gas and use SAT-BIL 360. Run generator for 30 minutes a months, close gas valve until generator stops. Top off to maintain 95%. Drain gas after one year . Does this sound right and will this prevent corrosion in tank, carb and lines? Hello draining after 1 year and running the engines for 30 minutes is a bit unnecessary (this fuel can be used and running the engine only a few minutes would be needed). Please contact us at marketing@goldeagle.com if you have any questions about this. Thank you. The problem which isn’t being addressed in any of these discussions is that if you have really old Lawn-Boy mowers (or any other 2-cycle engine) Ethanol will burn up those small 2 stroke engines pretty quickly. Small engines has been mentioned in most of these articles, but the real problem (that Sta-bil can’t address) is the hotter burning Ethanol destroying the old 2 strokes. Hi John, There are two main problems related to ethanol in the fuel that affects small engines and even some vehicles. These are that ethanol can be harsh to rubber and plastic components that were not made to resists it. The second is that ethanol is hydroscopic, meaning that it attracts water. This can cause phase separation or water at the bottom of the fuel tank, which can also lead to corrosion and rust. There is little that can be done about the corrosive nature of ethanol. However, STA-BIL 360 will help in addressing the water problems by safely removing it and also by providing anti-rust protection. Not true about ethanol burning “more efficiently” only much hotter during the combustion phase of a 4 cycle engine (retired Mechanical Engineer). The energy required to produce a gallon of ethanol is greater than recovered during the hotter combustion process. The downside on small/older auto engines is significant damage to the valves/seats. I have personal experience with 2 larger engines (one with all 8 valves burned and the other with a single valve erosion after only 10,000 miles) using ethanol fuel. A mechanic in upper Maine has measured ethanol levels in 10% Ethanol fuel stations as high as 15% so regulation is suspect. Finally, the corn producers lobby is able to “convince” Congress to pass legislation on even higher 15% Ethanol fuel requirements. Final solution is fully electric modern vehicles to both reduce pollution (renewable energy sourced) and allow consumers to have non-government regulated choices. I note that many are saying that ethanol burns hotter than gasoline. In this table published by Alternate Fuels Data Center, it says that a gallon of gasoline/E10 holds 120,388-124,340 Btu/gal and ethanol/E100 holds 84,530 Btu/gallon. Far less energy in ethanol, about 33%. Burns hotter? Here’s an essential reason why I will never burn ethanol—BMW requires pure fuel. Ethanol dissolves gunk already formed by that solvent which then clogs injectors. (Most American cars don’t have this problem). I can tell immediately when ethanol is put in my car. Ethanol has a designated 114 octane rating. Used in a high compression ratio (15:1) ethanol engine(INDY), ethanol works well. Ten percent, 114 octane ethanol MUST be mixed with 84 octane gasoline molecules (E10) to obtain a designated “87 octane gasoline”. Used in low compression ratio(9:1 to 11:1) 87 octane gasoline engines, ethanol CANNOT release its full power. Plus the 84 octane gasoline molecules can knock in the 87 octane designed gasoline engine. Only 87 octane, 100% gasoline(without ethanol) produces the best MPG from an 87 octane gasoline engine, because all the molecules are 87 octane. My last 5 low compression ratio 87 octane engines have produced 8%, 8%, 7%-8%, 7% & 5% better MPG than E10 ethanol blends. I am frustrated by the annual or semi-annual expenses I incur for my lawn equipment. Two small engine repair places have told me in San Antonio that my carburetor issues are related to Ethanol in the gas. I own only commercial equipment such as Shindaiwa weed eater and blower, Honda lawn mower and Troy Built Tiller . Now that my budget is “tight”, the expense kills me. $150 to repair the weed-eater that cost retail $400. Who know what the tiller will costs. Wow! So, I am reading before I pay for repairs and begin storing Ethanol free gas in my garage. Your thoughts???? Hi, Rick! 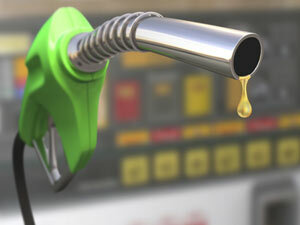 Ethanol-free fuel is a great option, although the fuel still must be stabilized. However, if non-ethanol fuel is not available or is not cost-effective, we recommend using STA-BIL 360 Performance at every fill-up to minimize these ethanol-related issues (corrosion, rust, condensation, etc.). If you have any other questions please contact consumer support at producttechsupport@goldeagle.com. I own a 1987 5.0 Mustang. A car as old as mine was not meant to burn ethanol. I was told by me mechanic to use pure gas. Is this true? Can I use ethanol in my car, and if so, what do I need to do to make it work? Hello David, we do always recommend to listen to the professional and follow the recommendation they provide. Ethanol is a terrible thing to put in a gasoline engine. My 2015 Honda CR-V gets 4-5 mpg better mileage on ethanol free fuel, and runs much better. All of you folks that use ethanol in your engine just because it’s a few cents cheaper will pay for the damage in the long run. It’s a “gasoline” engine, not an “ethanol” engine. The ONLY thing that it does is help out the farmers in Iowa on their corn crops because the federal government gives them money to grow it. I will stick to the real gasoline. My vehicles run better on gas than on vodka. I can’t find pure gas in my area. So pure gas is not an option.